Only ground transport 12m (40 ft) sailing catamaran Please note that this is a sailing catamaran, and the skipper will be using wind power when the winds are agreeable. Although this is not a learn to sail program, you may have a chance to learn a few tricks of the trade and assist the skipper with navigation while sailing. There are times when motoring the catamaran will be required, due to unfavourable wind conditions. Guides Skipper/CEO (Chief Experience Officer) throughout. Min. Age: Minimum age of 16 years for this trip. 1. Space is limited on the boat and especially in your cabin. You can only take soft sided luggage on board, such as a mid-sized backpack or soft duffel bag. (Less than is 15kgs) Suitcases are not appropriate for our Sailing BVI's adventures as they are not pliable enough to fit into the niches available for luggage. If you are on a longer trip, it may be possible to store excess luggage for one week at the yacht marina. 2. Fresh water is very limited on board, and as such we ask for your understanding that showers are limited to one quick shower per person a day. 3. It's important to note that the beds in the cabins are not the usual length of a standard bed. The length is approximately 1.8 meters (6 feet) 4. 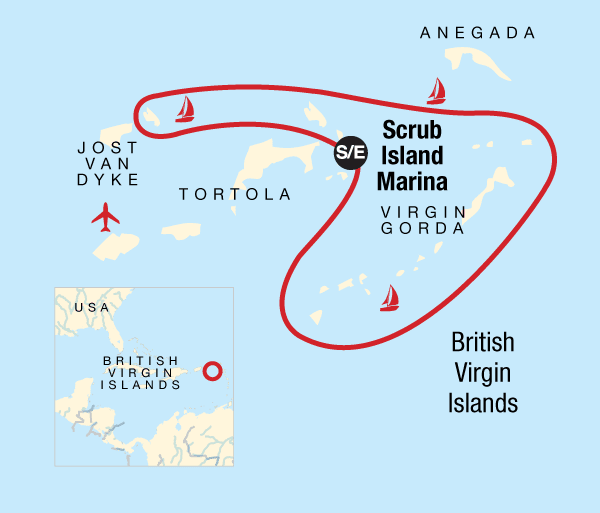 This is a self-catering trip, and everybody will be expected to participate, cleaning up after themselves, and keeping the boat ship shape at all times (including washing the dishes, and emptying the bins when ashore.) 5. Flights in and out of St Thomas (STT) are often easier and cheaper than flying directly into Tortola (EIS). The ferry ride from St Thomas to Tortola is 45-60 minutes and costs approximately $35 (or $60 roundtrip). 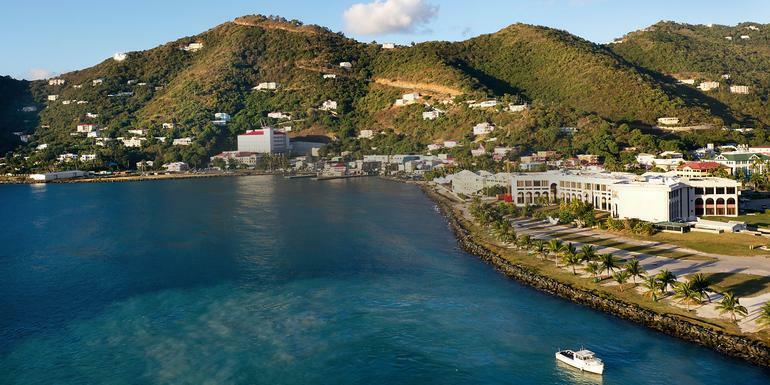 Arrival info: If flying into St Thomas, you will most likely require a night there, before catching the 8 or 8:30AM ferry to Road Town (Tortola). (The Welcome Meeting is at 1pm) Departure info: If flying out of St Thomas, do not book a flight before 5pm, as you will only be able to catch the 2 or 2:30PM ferry from Tortola. (The trip finishes at midday) Ask your Sales CEO or travel agent if this might be the best option for you. Eating is a big part of traveling. Traveling with G Adventures you experience the vast array of wonderful food that is available out in the world. On our BVI sailing trip the G Adventures Skipper/CEO will help you make a food kitty, where $80USD per person, per week will be added to the kitty for small food items on board to cover breakfasts, lunches and the odd dinner. Breakfasts and lunches are prepared by yourself, and most dinners are taken ashore at local restaurants.